Benjamin Bridge has distinguished itself as one of Canada's top producers of sparkling wine and built a national following for its critically-acclaimed Nova 7, which has helped raise the profile of Nova Scotia's wine industry within Canada and abroad. It can be stated that Benjamin Bridge is one of the wineries that help bring world wide attention to the wines of Nova Scotia . The Benjamin Bridge vineyards are located in the heart of the Gaspereau Valley on the Bay of Fundy, where the cool climate bears an uncanny affinity with the Champagne region of France. Gerry McConnell and his late wife Dara Gordon purchase 60 acres of land bordering on the Gaspereau River in Nova Scotia. 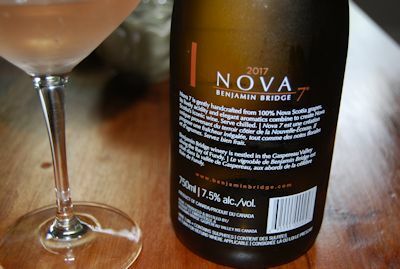 In 2008, Jean-Benoit joined the Benjamin Bridge winemaking team in time to release his first Canadian wine, Nova 7 by Benjamin Bridge. Since then he has crafted all of the winery’s classic method sparkling wines and its still wines, in consultation with Peter Gamble (the winery’s lead consultant) and the late Raphaël Brisbois (its sparkling wine specialist and former chef de cave of Piper-Heidseick). 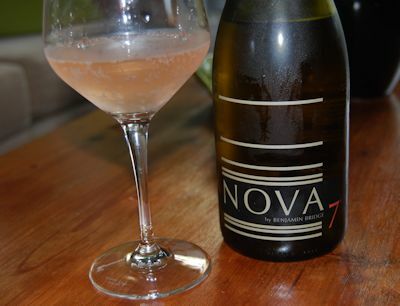 The name ‘Nova 7’ encompasses so much of what has made this wine “an East Coast trailblazer”. ‘Nova’ pays homage to the winemakers’ commitment to a wine that could only be made in the Province of Nova Scotia and for the Latin word “new” to reflect the daring notion that we would create something completely original. And, finally, the ‘7’ in tribute to 2007, the year of the first commercial vintage when no one at Benjamin Bridge could have predicted the wine’s future success. 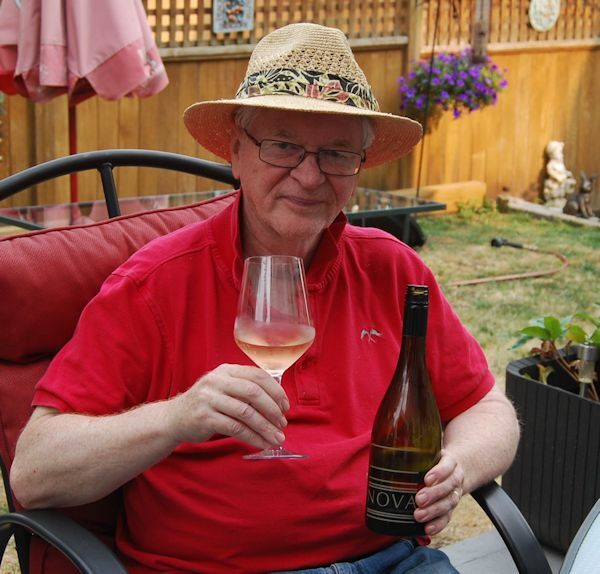 Barbara and I recently purchased a bottle of Nova 7 one of a very few Nova Scotia wines available in the Vancouver area. We paid $29.00 for the wine. The Nova 7 lived up to its reputation . I was amazing nice aroma of rose petals, followed by mango, apricot and strawberry. A proprietary blend using Muscat varietals, l’Acadie, Ortega & Geisenheim. Nova Scotia, a Peninsula on Canada's East Coast bordered by the Atlantic Ocean and the Bay of Fundy . The southern tip of Nova Scotia dips below the 45th. parallel. There are six very distinct wine growing areas. The Nova Scotia wine industry has a climate and soil conditions that flavour unique and distinctive grape varietals, an abundant supply of inexpensive land for potential development, unfettered by urban encroachment and strong transportation links and proximity to the large Eastern USA markets and Europe.